Beauty and Fashion brands and local businesses that support the vegan lifestyle. FORM Hair Studio – All vegan/cruelty-free salon located in the heart of Flagler Village in downtown Fort Lauderdale. 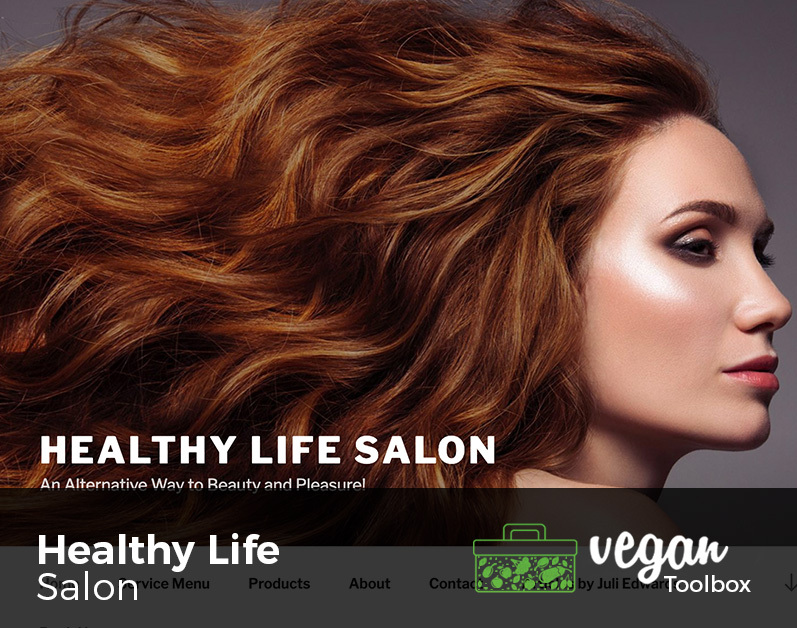 Healthy Life Salon – Healthy Life Salon & Organic Wine Bar specialize in organic hair, skin, nails & Feng shui consulting. John Bruno Hair Salon – Located in South Florida, John Bruno Hair Salon is the only hair salon in Wilton Manors and Fort Lauderdale using only organic and vegan hair color and hair care products. Anastasia Beverly Hills – Romanian-born beauty entrepreneur Anastasia Soare launched her namesake brand with a Beverly Hills flagship salon in 1997 and the company’s first product line in 2000. Rooted in the sacred geometry of the Golden Ratio, ABH creates prestige cosmetics for a passionate prosumer audience. Becca – BECCA empowers you to find your best light, glow your own way – and make each day better than the last. Hourglass – Hourglass, the cruelty-free luxury beauty brand, is known for its innovation and commitment to reinventing luxury cosmetics. Illamasqua – Illamasqua products have NEVER and will NEVER be tested on animals. Josie Maran – Josie Maran products are designed to enhance your beauty, health, and well-being as naturally as possible. Using the power of organic Argan Oil and other exceptional, our goal is to rejuvenate your skin, delight your senses, and beautify your life and the world around you. Kat Von D – As a vegan and animal activist, Kat Von D is committed to creating hyper-performance beauty products that are completely free of animal-derived ingredients, and never tested on animals. Marc Jacobs Beauty – Marc Jacobs continues to offer fashion and accessories through a broad spectrum of accessibility without compromising honesty and integrity. Milk Makeup – At Milk Makeup, we believe you should have good ingredients + epic payoff, because compromise is cool, but not in your beauty routine. Tarte – At tarte, we believe in breaking down beauty boundaries, shattering stereotypes and being kind. Too Faced – Too Faced has grown into a leader within the beauty industry, creating innovative cruelty-free cosmetics that women love to wear. Urban Decay – Urban Decay appeals to women who relish their individuality and dare to express it.